Israel has finally plucked up the courage (again – I have my doubts this closure will last) to close down the Kerem Shalom crossing point into Gaza after frequent violence at the border. 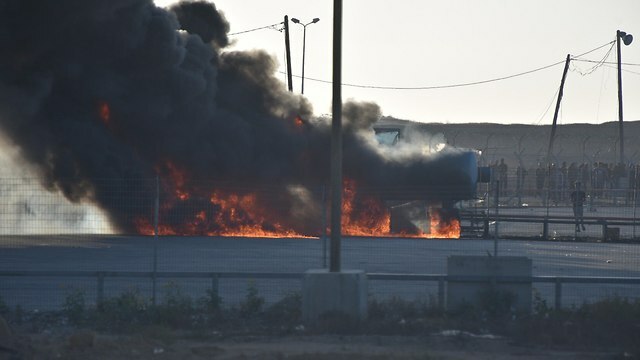 The Hamas terror organization called Israel’s decision to close the Kerem Shalom crossing with Gaza a “crime against humanity” on Monday, hours after Prime Minister Benjamin Netanyahu announced the move to respond to cross border violence. “Netanyahu’s approval of additional measures to intensify the siege and prevent the entry of materials and goods to Gaza is a new crime against humanity,” Hamas spokesman Fawzi Barhoum said. Barhoum also accused the international community of being silent on “the crime of the suffocating siege on the Gaza Strip,” and called on it to take “immediate action” to end the blockade of the Strip. Kerem Shalom, the only cargo crossing between Gaza and Israel, has been subject to a strict blockade by Israel for the past 11 years that is meant to prevent terrorist groups from bringing weapons into the Strip. Egypt also tightly controls the nearby Rafah border crossing into the Sinai. The Islamic Jihad terror group said the step was a “new declaration of war” and vowed to respond. “Once again, the government of Zionist terror announces a war on the Palestinian people by intensifying its oppressive siege that has multiplied the suffering of the Palestinian people for more than 11 years,” it said in a statement. “We are coordinating with the factions and forces to evaluate all developments, including the occupation’s most recent measures, which we are dealing with as a new declaration of war on the Palestinian people,” Islamic Jihad added. Earlier, Netanyahu said Israel will be undertaking measures to pressure Hamas, including closing Kerem Shalom, the main commercial passageway between Israel and the coastal enclave. Defense Minister Avigdor Liberman said he had instructed the military “to take a number of steps” to respond to “Hamas provocations” on the border. Over the past three months, weekly clashes have taken place on the Gaza border, with Israel accusing Hamas of using the demonstrations as cover to carry out attacks and attempt to breach the security fence. The “March of Return” protests have also seen Palestinians fly airborne incendiary devices toward Israeli territory, sparking hundreds of fires in southern Israel and causing millions of shekels in estimated damages. Immediately after Netanyahu spoke, the Israel Defense Forces confirmed that Kerem Shalom would be closed to all commercial goods into and out of the Gaza Strip. The army said humanitarian aid, notably food and medicine, would still be allowed into Gaza, but would require special permission from the military liaison to the Palestinians, Maj. Gen. Kamil Abu Rokon. Do you know any other country at war which provides food and medicine to its enemy’s civilians at danger to its own existence, and bearing the cost itself? And let us just take a moment to recall how the Palestinians themselves burned down the Kerem Shalom crossing! First they burned the aid deliveries themselves. 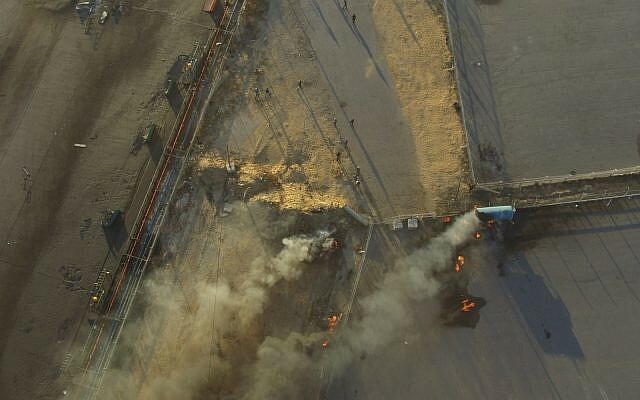 And then they burned the access roads to the Kerem Shalom crossing. And despite Defence Minister Liberman’s threat to close down the crossing, Israel of course did no such thing. We set about repairing the crossing and resumed aid delivery. (Yes, we fulfill the definition of insanity by repeating the same actions expecting a different reaction every time). For which we were “thanked” by yet more violence. So tell me again why on earth Israel should provide even one bean to Gaza. The Palestinians – Hamas, Islamic Jihad and those who voted for them, those who pay them to stay in power (I’m looking at you UNRWA and the EU), have the utmost chutzpah in protesting the closure of this crossing. Israel has not received a word of sympathy, let alone help, in combatting the incendiary kites and balloons, launched and encouraged by Hamas and Islamic Jihad, which are burning the south of Israel at an alarming rate. All Israel gets is condemnations at the UN and calls for restraint from the rest of the world if a Palestinian fingernail is bent out of shape. 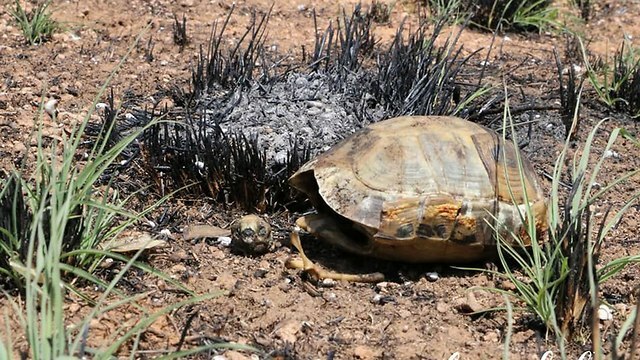 The search for shelter and food when your home has been burnt down. Where are the cries and rage of the environmentalists of the world now? What is this deafening silence I hear? Why aren’t there protests objecting to the environmental destruction of this ecosystem here in the Negev? This isn’t an earthquake or tornado that are acts of God. This isn’t even “Global Warming” that will take years to control and needs powerful political lobbies and massive change of human behavior and habits. This is terrorists with primitive kites and balloons who need to be stopped. If Israel does it, by shooting at them, we will be condemned… so where is the answer of the international community to this senseless, purposeful destruction of the environment and land that the Palestinians claim to love, claim is theirs and yet are primitively, ruthlessly devastating? I say let Gaza stew in its own juice. They deserve nothing from us. Let the world condemn us. Let them take a long walk off a short pier. And it’s about time, way beyond time in fact, that Israel sues Hamas and/or the Palestinian Authority for punitive damages for the destruction they have caused with their arson, in addition to demanding a condemnation at the UN. Failing that, Israel should demand compensation from the terrorists enablers at the UN and the EU. (But sadly, as repeatedly in the past, I wait for the crossing to be reopened, or to stay open, in 3…2..1. Because our leaders do not have the courage of their convictions). 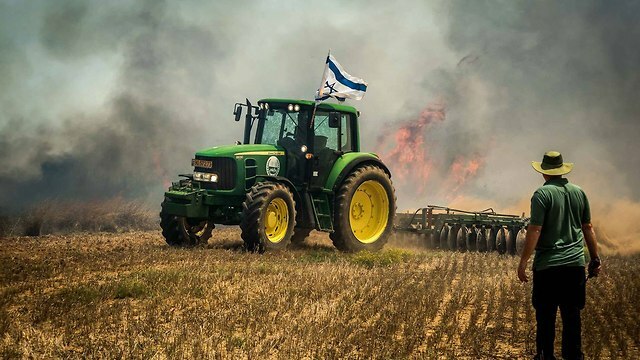 This entry was posted in Defence and Military, Israel news, Lawfare and Delegitimization, Terrorism and tagged #Israelisburning, #Israelonfire, arson, Chutzpah, Gaza, Hamas, Islamic Jihad, Kerem Shalom, southern Israel, terrorism. Bookmark the permalink. Barry thank you for those videos, dreadful as they are. I have posted similar ones over the last weeks on my blog and facebook page and they deserve much wider broadcast. We ask where are the hippies, the greens, the do-gooders? I’ll tell you where. Sitting on their backsides not giving a sh!t because it’s only the Jews being burnt. They will only react when Israel finally loses its restraint and hits back hard. THEN watch them get furious! Been there done that, over and over. You’re right on the money Anne in what you say. What Israel has been doing the past couple of months clearly is not deterring militant forces in Gaza, almost assuredly including Hamas. Israel needs to do something effective to deter the murderous activity of their Arab neighbors. I don’t know what that threshold of pain may be required, but I do believe such a threshold exists. In 2014,Israel did send Hamas a fairly convincing message. I also think that slowly ramping up the response is not an effective way to go. I agree with you. It is so frustrating to be reduced to a spectator in our own homeland. What is more infuriating is that Netanyahu has not addressed the citizens of the country, or even just the south, to explain the reasons for his inaction. He hasn’t even visited the south! That is bad politics as much as anything else. And if he feels he cannot give away state secrets he should at least address the nation and explain that there are issues of national security that he cannot divulge but which are causing him and the army to restrain themselves. This silence of his is a very bad move and people are becoming angry and restive. Not only is there a deafening silence from all those humanitarian “do gooders”about the fires,from as you say the alphabet soup of UN EU UNRWA etc..but if Israel closes Kerem Shalom(why is it still called that? )it certainly won’t remain closed more than 5 minutes.But we only have our ridiculous non reporting foreign affairs /diaspora reporters or spokespeople to blame.They are doing an absolutely useless job of demanding world attention to this.And why is there no financial help from all these “do good”organisations? Ireland,that bastion of morality,yesterday just voted to boycott goods from Judah and Samaria! We are our own worst enemy in not reporting constantly and relentlessly non stop about the Gazan border. It’s time we actually do something before a war breaks out.At some point otherwise Israel will have no choice but to act violently. Yep, absolutely we are our own worst enemy. The sad irony is that we are always accused of “hasbara”, as if public diplomacy is a bad thing or as if no other country does the same. But our hasbara is less than useless. Pathetic, tragic, futile… I need a thesaurus. And as I said above, when we finally do respond properly, then the world will spring into action – against us of course. Hi, how is your weekend? Enjoying #WorldCup? In #Israel, thousands of families have been stuck in bomb shelters, seeking cover from the barrage of rockets & mortars fired from #Gaza … over 50 so far today! “#WhatWouldYouDo if this was your country?”. Well, if I were the Israeli Minister of the Interior or Defence, that question would not be asked in 2018. Because I would have unleashed the IDF to effect threat neutralization- by ANY means necessary- years ago. No Hamas leadership still living, no Hamas terror infrastructure (including tunnels) extant; no Hamas public gatherings left unbombed. Just Total War brought to bring these Dark Age orcs to heel. I can’t even begin to tell you how furious I am at our government, our leaders who at the moment couldn’t lead us out of a paper bag. Hamas have been bombarding Israel with over 200 rockets over Shabbat and what have our leaders done?? Negotiated a ceasefire, that’s what!!! With bloody terrorists!!! What the HELL are they thinking? The IDF has been bombing empty buildings and tunnels instead of assassinating the entire Hamas leadership. They KNOW where they are and where they’re hiding the cowards, why the HELL are we not killing them? What is the point of a ceasefire?? So they can go back to flying incendiary kites and balloons and burn the last bits of Israel that they haven’t burnt already? All I can say is you guys abroad have a much better opinion of our government and even our military brass than we Israelis do. We are fed up. I don’t know why there aren’t mass demos in our streets. I WISH a bomb or incendiary kite would hit Bibi’s house or some important building in Tel Aviv. Only then will serious action be taken against Hamas. I feel so sorry for our southern residents. I can’t look them in the face. Netanyahu doesn’t respond with force cause he’s scared what the Europeans will say. Not only the Europeans. Also our own (Israeli) supreme court and the leftist NGOs who run to the world media to “blab” about our “war crimes”. Anne at the end of the day its Netanyahu who makes the decision not the leftist NGO’s funded by the Europeans. Indeed. That’s why I’m so angry and frustrated, realpolitik notwithstanding. We just have to have faith in G-d in the end. IMHO it’s time to turn Gaza into a parking lot. Nothing good will ever come from there. The world condemns Israel no matter what it does, might as well give them a reason, while finally protecting itself & stopping the rockets & fire kites & destruction. Enough is enough. This insanity has gone on long enough. Get it over with. Let the condemnation come, then it will pass & be over with. The world will get the message that we are finished being toyed with & we are here to stay. Leave us alone or you will pay a very big price. I agree with your premise that there is no point in taking world opinion into account, because we get condemned whatever we do. I wouldn’t go so far as to turn Gaza into a parking lot however. I’m sure there are plenty of other solutions available, including getting rid of the entire Hamas leadership. BTW, I didn’t realise that Moslems believed in the devil, as Christians do – although they purport not to – and Jews don’t, despite one or two references in the Scriptures to Satan: I’d always taken these to be references to peoples’ moral failings, rather than a reference to an actual figure presiding over Hell. Sadly irony doesn’t work here, because your best efforts cannot overcome the actual reality. What gets me is how the owrld falls for this outrageous propaganda every single time. Chaim Ben Pesach or Moshe Feiglin should be PM of Israel. Great video by Chaim on what Israel should do to defeat Arab terrorists. Anne a lot of people agree with you. Chana, I don’t know what your beef is with Brian Goldfarb. All he did was wonder about the Muslim belief in the devil compared with Christian belief. What that has to do with what happened during the Holocaust is a mystery to me. Your facts by the way are wrong and highly offensive, and in any case irrelevant to the subject I wrote about. Chanah there was nothing the Jews could do to help the Hungarian Jews in 1944. The Reality is both Roosevelt and Churchill opposed giving any money or weapons to the Nazis in exchange for Jews. Chanah why didn’t Roosevelt bomb the railway lines in 44 in Hungary to stop the Nazi trains. The reality is as long as Roosevelt didn’t help the Jews, there was no way to save them.